Add a rustic wildlife theme to your living space. 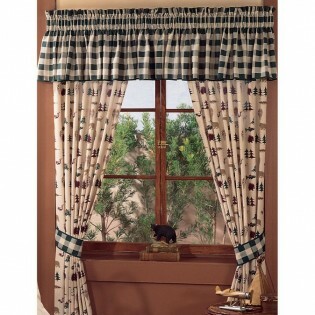 Multi color drapes have a color pallet that includes greens, browns, burgundy and tan set against neutral soft beige background with coordinating dark green buffalo plaid valance. Northern Exposure Window Treatments. Add a rustic wildlife theme to your living space. 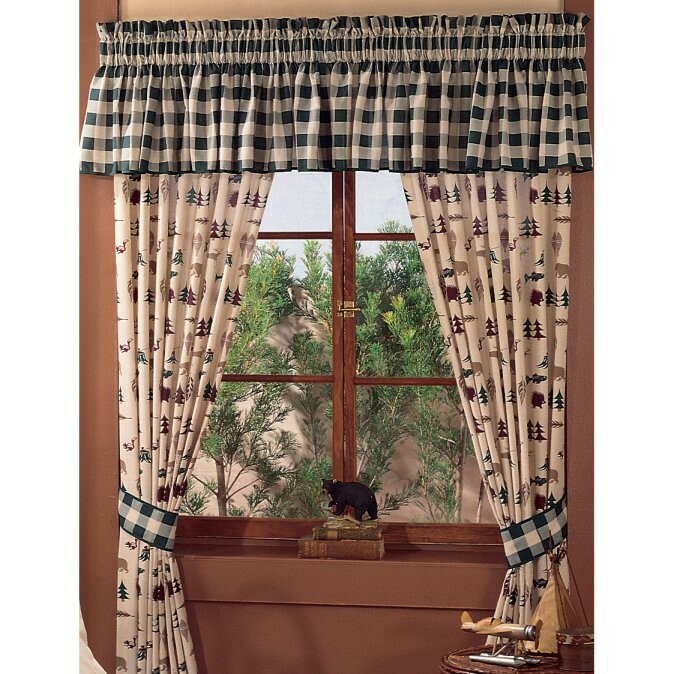 Multi color drapes have a color pallet that includes greens, browns, burgundy and tan set against neutral soft beige background with coordinating dark green buffalo plaid valance.